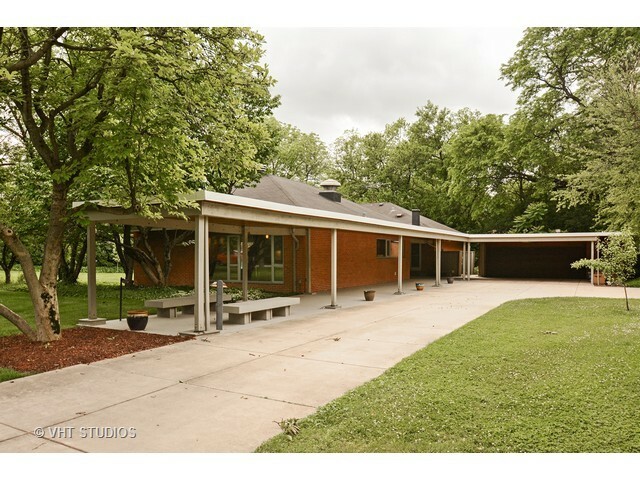 Bertrand Goldberg-Designed Ranch in Flossmoor! Here’s your chance to own a home designed by one of Chicago’s legendary architects: Bertrand Goldberg. Architect of Marina City, River City and the Prentice Women’s Hospital, Goldberg designed very few single-family homes in the Chicago area. This fine example sits on a little over 1/2 acre, just a few blocks from downtown Flossmoor. Let me know if you’re interested in seeing it!